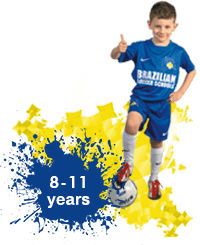 Brazilian Soccer Schools (BSS) is one of the largest grassroots football training organisations in the world. We attribute our success and popularity with children to our structured approach to training and proprietary syllabus of 200+ individual core movements and skills. . We teach our players to initially focus on acquiring their individual all round technique and mastery of the ball. As they mature mentally and physically, their training will start to incorporate tactics as well as the physical and mental chapters of our training programme. We have never bought into the myth of natural talent or overnight success, what we do believe in is hard work, perseverance and practice. Our philosophy is that through an increased number of training hours involving constant repetition players can refine and improve their skills in all areas of the game. 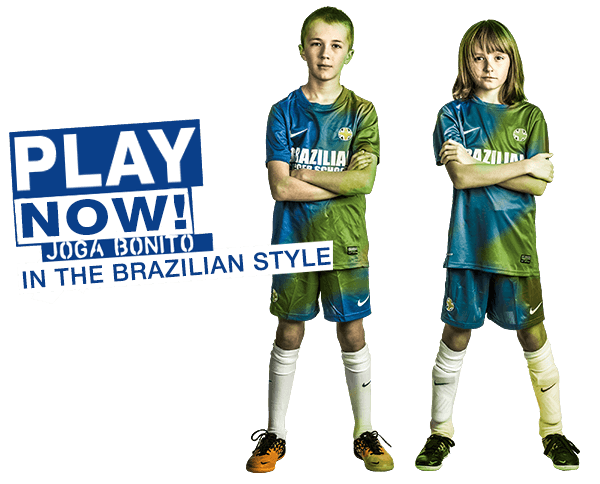 ​A unique and central aspect of our programme is Futebol de Salão, the original Brazilian version of futsal. Futebol de Salão is played on a pitch the size of a basketball court with a smaller (size 2), heavier (465g) ball that has virtually no bounce (10%). As explained by Emilio Miranda from the University of São Paulo this version of the game creates up to 600% more touches and served as Brazil's "laboratory of improvisation". 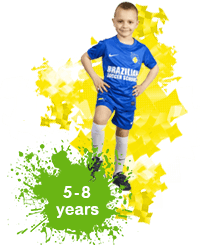 The result is an insanely fast, tightly compressed and highly pressurized environment of 5 a side football in which the core moves and skills within the syllabus can be trialled in a game environment. Learn more about our unique programme and the benefits of individual skill based training sessions. Find the most convenient location for you, UK wide and sign up for a free taster session! If you are passionate about starting your own business educating children, but would like to minimise the risk of failure, franchising could be the perfect solution for you!